İt is star of every night. You will wake up in mornings with a brand-new energy with special soft touch knitted fabric of NOTTE Bed. Thanks to its air capsules with its breathable structure, healthy sleeps will be yours. Couples will be able to move without disturbing each other thanks to individual springs with Pocket Spring system used in Notte Bed. 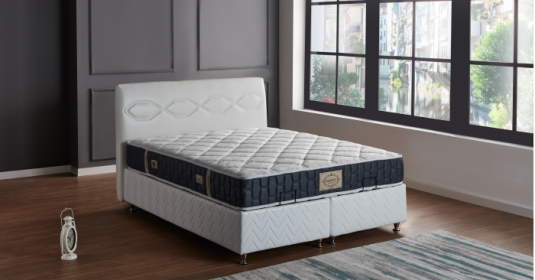 Furthermore, your waist, back, head, neck and knee areas are supported, and natural spring curve is maintained, therefore a very comfortable and quality sleep s provided thanks to individual spring system. Thanks to air circulation provided by this system, generation of microorganisms is prevented.